Do you know what you are willing to sacrifice to buy a home? However, there are some amenities that today’s youngest homebuyers won’t give up. Purchasing a property sometimes requires trade offs. To be able to buy a home, you may have to settle for a smaller design. Perhaps you’ll have to look beyond your desired area. This could result in a longer commute to work. 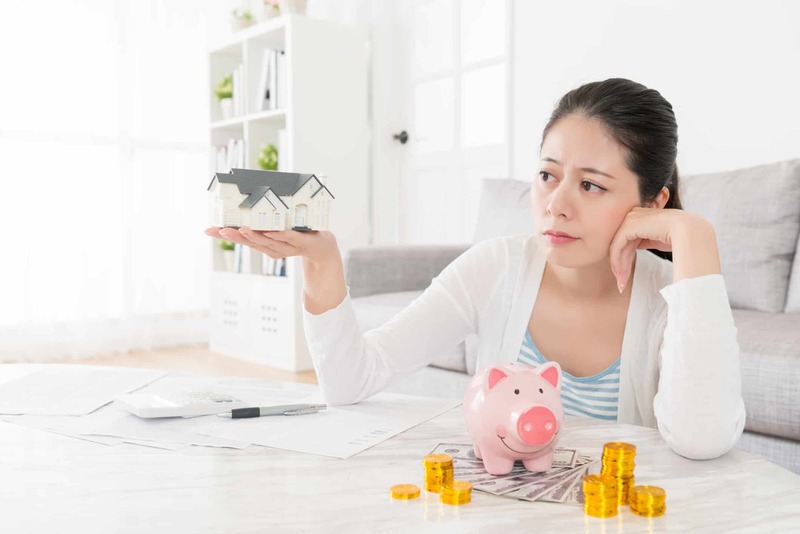 Or you may have to sacrifice more of your savings to afford the down payment. A recent study shows that first-timers are willing to give up some things but not others in order to buy a home. They’re open to giving up some key amenities in exchange for a place to call their own. Experts say you should be prepared to forfeit some perks if you’re on a tight budget. Choosing which are most important is a personal decision that will depend on your needs and preferences. Okay with sacrificing a home office, preferring a home gym instead. For Gen Z: (1) location; (2) space; (3) air conditioning; (4) lifestyle amenities; (5) parking space; (6) storage; (7) energy efficiency; (8) proximity to green space; (9) garden; (10) pool. Among Gen Y: (1) location; (2) air conditioning; (3) space; (4) storage; (5) energy efficiency; (6) lifestyle amenities; (7) parking space; (8) proximity to green space; (9) garden; (10) pool. For Gen X: (1) location; (2) air conditioning; (3) space; (4) energy efficiency; (5) storage; (6) lifestyle amenities; (7) parking space; (8) proximity to green space; (9) garden; (10) pool. Eliza Theiss, spokesperson for PropertyShark, says this survey had some important findings. Ralph DiBugnara with Residential Home Funding says he’s not surprised that younger buyers say they’ll put up with a longer commute. “More people are able to work virtually from home. So they don’t need to worry about commuting. They’re going back to more traditional values of wanting larger homes,” says DiBugnara. Theiss wasn’t shocked that lifestyle amenities also ranked higher among Gen Z than earlier generations. The experts agree: It’s important to be prepared to make concessions in order to buy a home. “When you buy a home, there are always going to be sacrifices you have to make. We are in a market with more limited homes for sale. Therefore, to find what you like you’ll have to compromise some,” DiBugnara says. Almost everybody has to part with some things on their home wish list. Bruce Ailion, Realtor and real estate attorney, says sacrifices are worth it. Sacrifices worth making will depend on your personal needs and desires. But if it comes down to saving enough for the down payment, don’t be afraid to tighten the belt. “Making compromises is part of a successful purchase. That may mean cutting back on cable. You can make coffee at home versus stopping at Starbucks. You can shop at warehouse stores rather than Whole Foods,” suggests Ailion. In addition, you can consider taking a second job, working overtime, and selling off valuables. But you may not have to. Many mortgage programs require little or no down payment, and down payment assistance is available to many who are just starting out. In fact, most who are eligible (and income limits are a lot higher than you probably think) don’t even know about these programs. The key factor you probably don’t want to compromise on is location. After all, “improvements can be made to your home any time after your purchase,” says DiBugnara. Another thing you don’t want to surrender: financial stability. “Anything that endangers your current or future finances is not worth it. That means not stretching your budget to the max when you buy a home,” recommends Theiss. In addition, avoid sacrificing in other areas that can prevent your home from appreciating in value. “This includes a good school district and affordable taxes. Also, it includes easy access to public transportation and nearness to major highways,” DiBugnara adds.